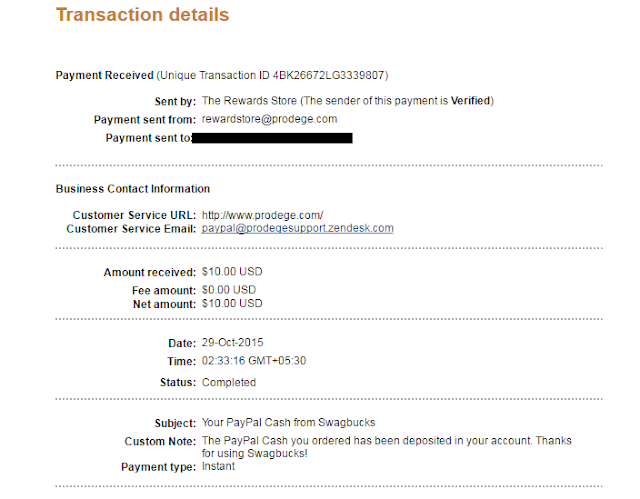 Swagbucks is a legit and one of the leading websites to make money online. 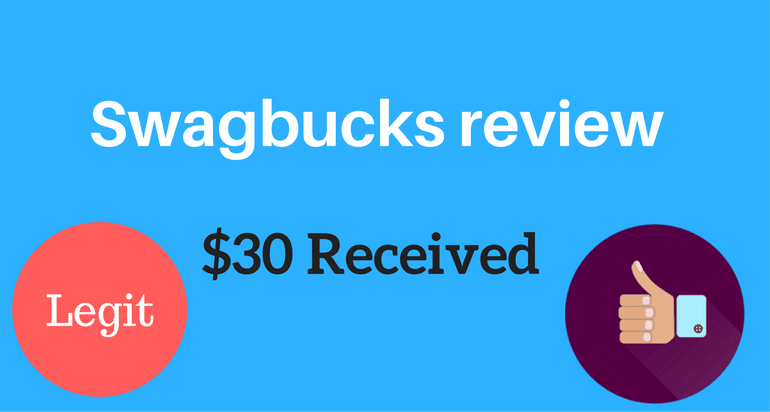 On Swagbucks, you can earn money for various activities that you do online anyway. For example; you can earn money for searching the web, shopping, watching videos, etc. Swagbucks has already paid its members over $135,378,077 and every day 7,000 Gift cards are sent to their members. These numbers may lead you to doubt the legitimacy of Swagbucks. The site seems too good to be true but it is completely and totally safe. Swagbucks is legit and paying since 2005. Swagbucks is an online rewards program that rewards you with gift cards and cash for various things you already do online. Ways to earn on Swagbucks include, Search, Videos, Shop, Games and more. On Swagbucks you will earn points(called SB short for Swag bucks) once you have enough points, you can redeem those SBs for PayPal cash, Amazon, eBay and hundreds of other gift cards. There many donation gift cards too. On Swagbucks, you can do many things to earn Swagbucks (SBs) and get your gift cards, but you can also earn a few SBs in seconds. Through "Swag Codes" and "Daily Polls"
So What are Swag Codes? Swag Codes are random Pair of words that Swagbucks publishes on their social media channels or blog, every day. When you enter these Swag Codes you get a certain amount of SB. Every Swag Code will earn you a different amount of SBs. Usually between 2-10 swagbucks. Swag Codes usually expire in 4 or 2 hours after their release. You can enter Swag Codes in Swagbucks mobile app and browser extension. Daily Polls are the quickest way to earn on Swagbucks. It hardly takes 5 seconds. That's why I always answer daily polls. You can earn from 10 to 1000 points (SB) per survey you complete. On the 'Gold Survey' page of Swagbucks, on the right side, simple questions will be asked, you can choose your answer from the drop-down options. You'll get 2 Swagbucks for every 10 questions you answer which will take less than 2 minutes. These questions help Swagbucks to find more surveys for you. So try to answer them whenever you start to get fewer surveys. Yes! You can earn cash for playing games. So, if you like to play games online, why not earn some cash while you do that. When you shop through Swagbucks you can earn cash back(in the form of SB)for your purchases. You can shop at your favorite store like Amazon, Walmart, eBay, etc. You will earn cash back per dollar spent. I'll explain this with an example so that it's crystal clear to you. Say, the cashback offer on purchases from Amazon is 7SB per dollar. So, if you spend $100 you'll get 700SB(=$7), 7% cash back. You'll earn rewards for watching entertaining videos. You can watch celebrity videos, movie trailers, comedy clips, etc. You can also earn Swagbucks on the go with SBTV mobile app. You'll get paid for taking advantage of shopping offers, free trials and completing offers from TrialPay, RadiumOne and other offer walls. You can also earn Swagbucks for donating. We all search the web many times a day and almost every day. You could get rewarded for those searches. That'd be awesome, right? Swagbucks offers you just that. You can search through Swagbucks and occasionally earn SBs. If you're concerned about the quality of search results don't, because Swagbucks search results are powered by Yahoo. Make Swagbucks your default search engine and earn without even thinking about earning. In the nCrave section, you will earn SB for viewing videos, articles, photos, etc. for a certain amount of time. 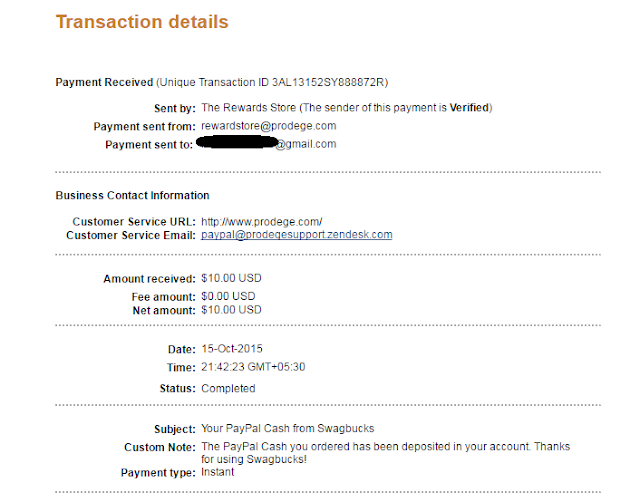 Swagbucks also holds referral and other contests where users can win more SBs. Refer your friends and earn 10% of what they make on Swagbucks for life! Once you have enough Swagbucks (SB) in your account you can redeem it for your desired gift cards. 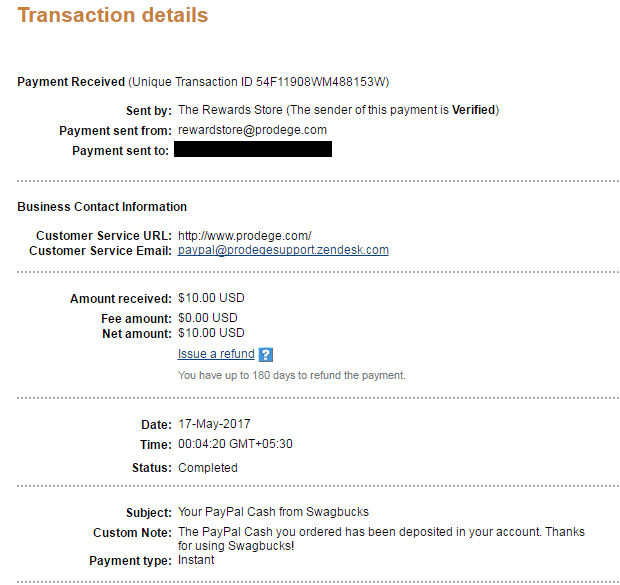 But, if you would like to cash out your SBs, you can choose a PayPal Gift card, like I did (Payment proof is at the beginning of this review). PayPal gift cards start at $5. You'll need 500 Swagbucks to redeem a $5 PayPal gift card. Swagbucks is a very old money-making platform, it was launched in 2005 and since then it has paid over $120 million to its members. And every day 7,000 gift cards are redeemed. No matter who you are or what you do you can get your gift cards by using one of the ways mentioned above. The only drawback Swagbucks has is the extremely low availability of offers and surveys for Indian and most of the Asian countries. But if you are from countries like USA, UK, CA, and Japan you'll get better earning opportunities. If you're from India you won't make anything. But don't worry at Infosmush I review many apps that you can make some money with. Just rush to the homepage or select one of the categories.